She combines her passion for emergency medicine, assisting veterans and leading change, coming on board during the construction and opening of the new Central Florida campus. 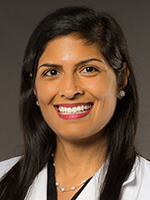 Veronica Sikka, MD, PhD, MHA, MPH, FAAEM, knows the vast difference between serving military veterans as a physician and actually serving in the military. As a high school senior in 1999, she was visited by an Army recruiter who said her deployment to the Gulf War would be “imminent” if she signed up then. If that was supposed to be a selling point, it failed. “I quickly realized what a coward I was and withdrew my application,” remembers, Sikka, an AAPL member since 2013. The experience, however, inspired such a passion and appreciation for veterans that today she serves in a leadership capacity at one of the country’s largest Veterans Affairs hospitals. “My job now is a small way of serving those who have served our country,” says Sikka, chief of the Emergency Department at the Orlando Veterans Affairs Medical Center in Florida. The facility began receiving patients in 2015, with the ED opening in late 2017. Q Arriving in Orlando with a light leadership résumé, you were hired in 2014 as the lead emergency department physician and named that VA facility’s first ED chief a year later. What prepared you to lead a staff that serves 115,000 regional veterans? AI always wanted to do emergency medicine and quickly realized after college that I enjoyed the challenge of leading change. I pursued my MHA at the age of 19 and my PhD in health services research and health policy at age 24. I also had wonderful mentors in emergency and academic medicine who guided me in my career. Now, in an effort to pay it forward, I’m mentoring young EM residency graduates and medical students. QWhen the $665 million campus opened, what pressures did you encounter relating to the startup? AThe Central Florida veterans were waiting for the hospital and ED to open for several years, and we wanted to make sure we delivered. Starting from the ground up — from hard hats to hiring a whole team of doctors and nurses — I had a great team to help make it possible. Today, we are among the top 10 busiest VA EDs in the country. QWhat unique or enhanced skillsets distinguish VA physician leaders from those at other hospitals? AVA physician leaders must have a strong passion to serve our veterans. We come to work with one mission — how to best serve our veterans. When assembling our team at the Orlando VA, I wanted to make sure we hired providers who shared that passion to care for our country’s veterans, because that is what the VA mission is all about. QAs the author of a book that prepares students for the U.S. Medical Licensing Examination, you exhibited a skill for simplifying complex content. How does this translate to what you must do as a physician leader? ALeadership is sometimes difficult in the sense that front-line staff don’t always understand why we implement certain changes, and it’s hard to follow change when you don’t understand why. Unless you explain change to your team in terms they understand, you cannot expect them to respect you enough to follow you. QInterviews with national and regional media have enhanced your personal profile. 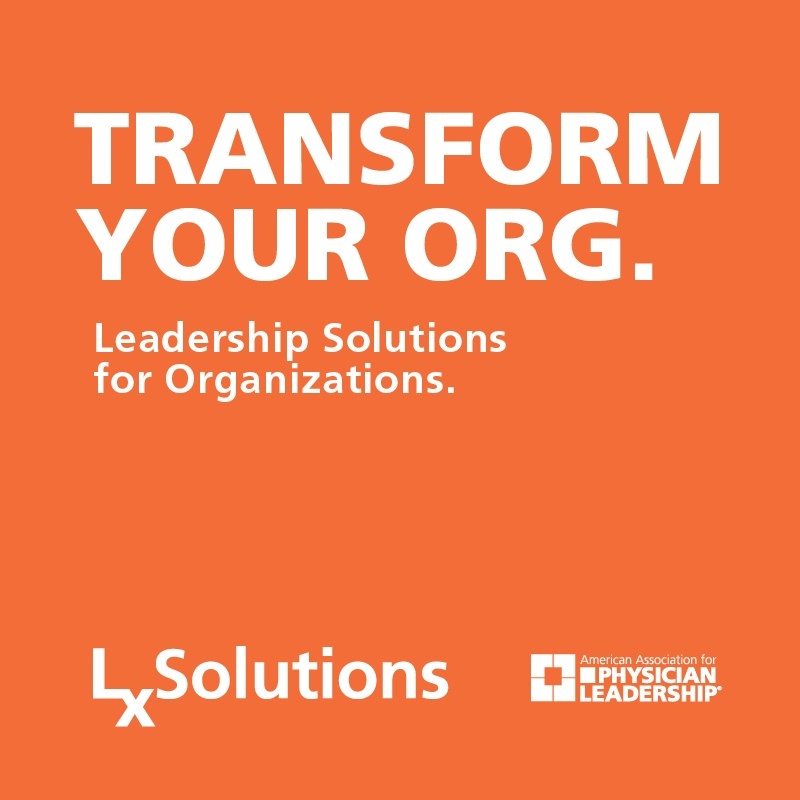 What should physician leaders know about the professional benefits such exposure brings to you as a leader and your organization? AAs leaders, we are constantly asked to talk to local and national media. [It] gave me the experience to be confident in print and television media. Our organization is providing media training for our leaders to prepare us to do print and TV bits on health care news, clearly communicating the latest in medical research to our public in a way that allows them to form their own educated decisions. To suggest an AAPL member for this ongoing series, email journal@physicianleaders.org.